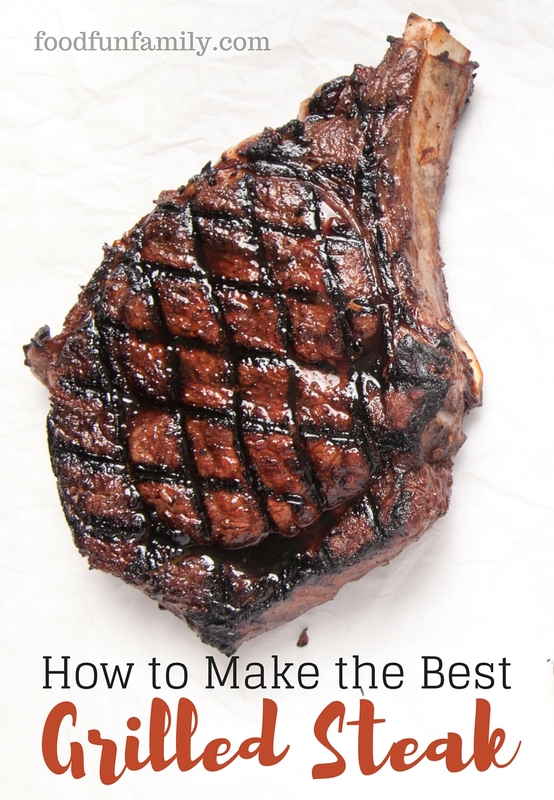 I asked my husband to share the story of how we learned how to grill the most delicious meats on the block. When Lolli and I got married, neither one of us was an amazing chef. I had worked in Richmond’s LeMaire restaurant in the Jefferson Hotel with a great head chef, but I never touched the grill. 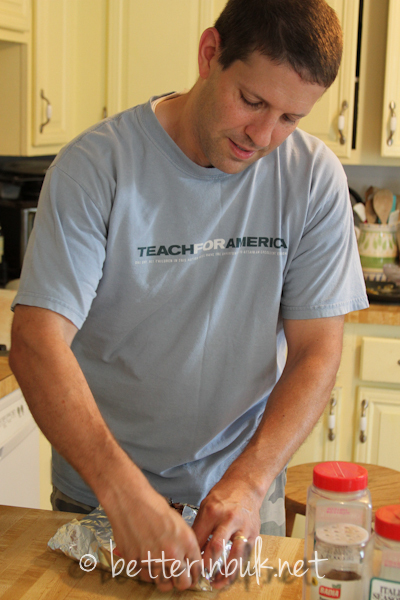 We spent the first few years of marriage eating a lot of dry hamburgers, flavorless steaks and many other meat-challenged meals looking for the elusive magic recipe or grilling technique. As luck would have it, shortly after moving into our current house, we became friends with someone who is not a chef, not professionally trained in France, not even a restaurant worker. He is simply a man from Argentina who knows his meats and his grill, and he shared with us the simple truths of fool-proof, great grilling. Our friend taught us the “secret” of dry rub grilling. He had his own special blend of spices, and as soon as we could, we tried it on our own grill. The secret: To make meat taste great, all you need is seasoned salt and any kind of spice you like. It ended up being a perfect blend, but we didn’t write down a recipe for it. I pull out a piece of foil, then take my ribs, chicken, steak, or whatever I am grilling and place it on the foil. Then I baste the meat lightly in vegetable oil and sprinkle it with salt and spices. 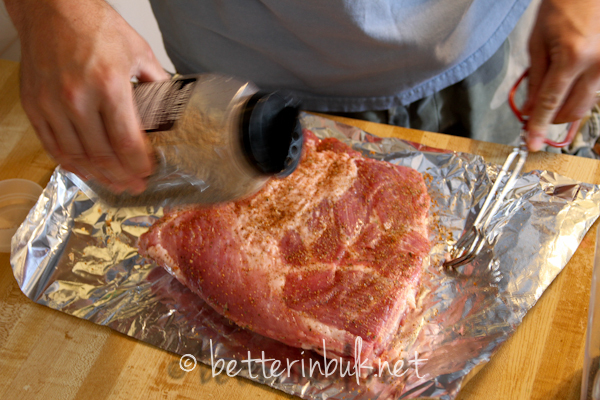 I flip the meat over and baste the other side and sprinkle it again with seasoned salt and whatever spices I am using. I close up the foil so that the meat is completely wrapped and sealed. I then put the sealed foil on the grill and cook until it is about half way done. Then, I pull it out of the foil and throw it right on the grill to just singe it with the flames a little bit (Lolli’s favorite step). Since that time, we have seen over and over again that all you need to do is baste your meat, lightly sprinkle with seasoned salt and then add your choice of spices. Cross your fingers or not, you’ll get a fantastic flavor every time. And the best part about grilling for us (besides the savory meats)? Sharing the food with our friends, of course! These are just some of the reasons why Grilling is my Happiness. 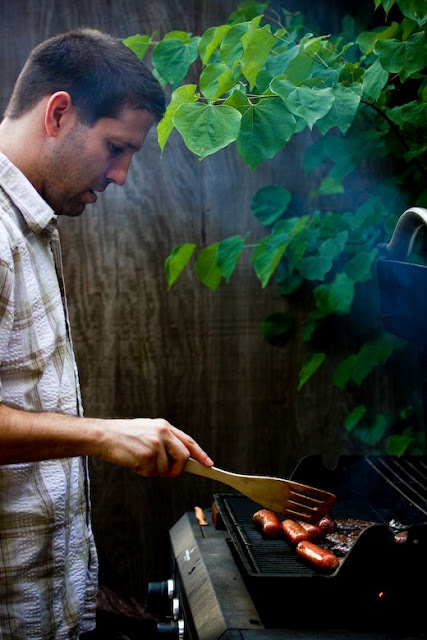 Besides all of the tasty food, tell me what you love about grilling. One of my lucky readers who answers below will win a $25 Sears Gift Card! This is a sponsored conversation written by me on behalf of Sears. The opinions and text are all mine. Official Sweepstakes Rules. © 2012 – 2016, Food Fun Family. All rights reserved. I love the grill marks! I like the grill marks!